Jumpstart’s Read for the Record is coming up on October 25th, and Biblionasium is on board! 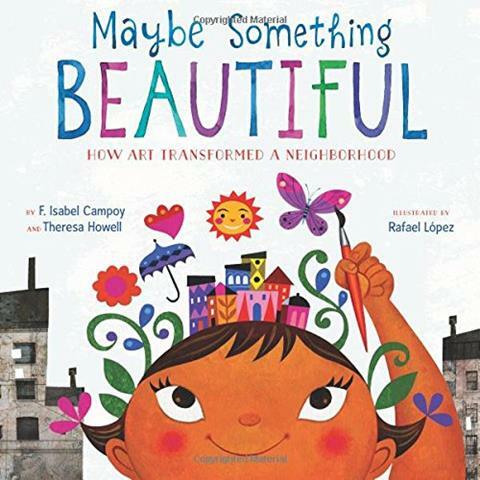 This year’s featured book is Maybe Something Beautiful. Read for the Record is the world’s largest shared reading experience, bringing people across the country and around the world together to read the same book on the same day and share the joy and connection of reading. This year’s featured book is Maybe Something Beautiful. If you purchase the book from JumpStart, you will be helping to support Jumpstart’s work in communities around the country. Click here to order your book! Even if you don’t have access to this featured book, you can still participate by reading to children this Thursday October 25th. ▶ Take the pledge to read and see if you can help break the record! ▶ Check out the Activities and Resource Toolkit from Jumpstart for extra ways to engage kids while reading. ▶ If you will be reading aloud, watch this useful read-aloud training video from Broward Schools. ▶ Try setting up a reading challenge on Biblionasium! ▶ Set a challenge for students to read to each other. ▶ Set a challenge for students to read 30 minutes to themselves and log the minutes on Biblionasium. This entry was posted in Special Events and tagged biblionasium, digital reading log, digital reading logs, edtech, future ready librarians, Goodreads for Kids, kidlit, kids books, Read for the Record, Reading Log, reading log for students, reading logs, student reading logs by Biblionasium Admin. Bookmark the permalink.